The other day we told you about the HTC Aria, expected to sing beautiful music for AT&T. This Android phone has outstanding bloodlines as it appears to have the looks and features of a Droid Incredible mixed with the EVO 4G. The Aria gets its shape and optical trackpad from the former while the latter's capacitive buttons on the bottom of the unit have been inherited by the new unit. And while junior might be well equipped, he's still a small little guy as you can see by the picture of the tyke resting next to a business card. 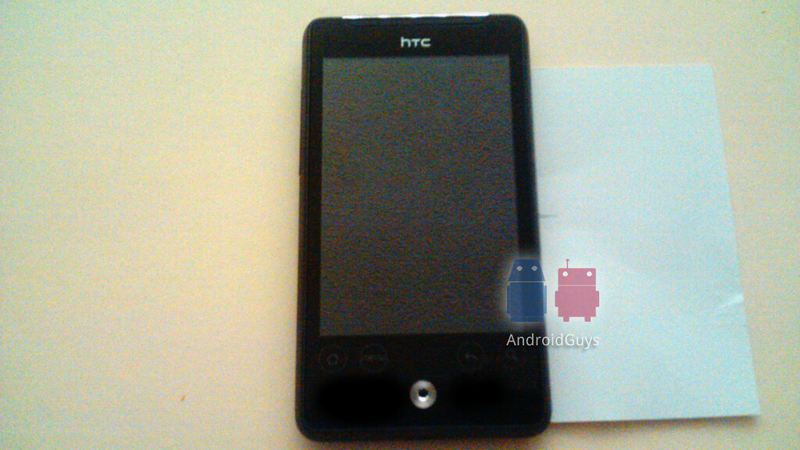 We could see the HTC Aria peeking through the carrier's windows on June 7th although AT&T still needs to give us the word. After all, we want nothing more than to warmly greet this new arrival to the world. Htc evo 4g and droid incredible love child? Neither has a keyboard. More like the touch pro 2 and droid incredibles love child. The keyboard from the photo on its spec page looks similar to the touch pro 2s.